The Hebrew word for knowledge is daath [דעת]. This is a kind of particular type of knowledge, a unique and experimental type of knowledge to the Consciousness. It is not related to the intellect. It is not related to belief. It is not in the form of thoughts, words, ideas, concepts, theories or dogmas. It is relative to a consciousness and related to the soul, which has to be placed in to practice allowing the internal knowledge related to elaboration and creation of the soul. The word “knowledge” is translated from the Hebrew word “daath,” meaning “cunning knowledge” (Strong’s 1847); “to perceive, to be sensible of, by sight, by touch, but chiefly in the mind; hence, to understand, observe; to consider; marking and observing with a purpose. Adam and Eve decided to take the place of the creator. They committed the same violation as the devil himself. The devil played on their pride; which became the first sin. Disobedience was the second sin. Taking the place of God was the encompassment in to the second sin. The initial letter in the word Daath, is daleth [ד], Which symbolizes a door. The meanings of Daleth are, to move, to hang and to enter (entrance). Daleth is the fourth letter of the Hebrew alphabet, and carries the value of the number four. Adam and Eve went through the door and disobeyed the commandment. They descended to a low state, a state of existence burdened by death and suffering. It wasn’t God who kicked them out from eternal paradise; it was them walking through the door to have their own experiences. God only stated the fact they already knew when he told them they have to leave. 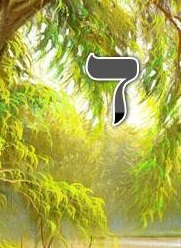 Likewise, the second letter of Daath is ayin [ע]. Ayin is the sixteenth Hebrew letter, and it symbolizes “to see, to know, to experience.” It symbolizes the eyes and how we perceive things. In the early Semitic/ Hebrew language literally an eye was draw to represent this letter. 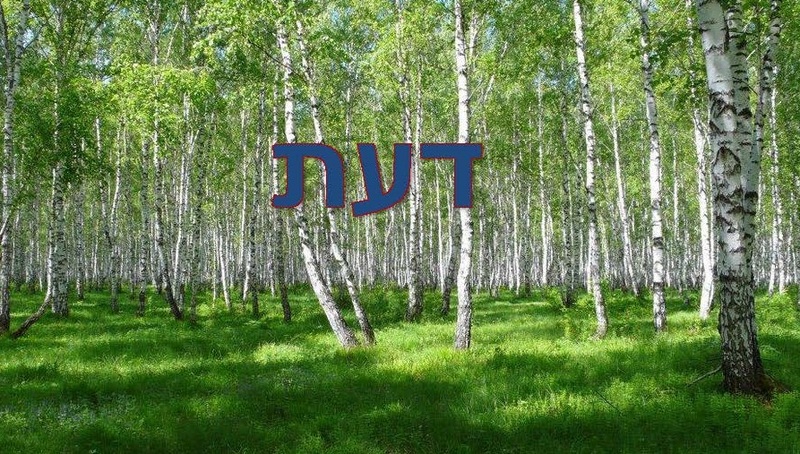 Ayin also means to watch, to know, the shade and the experience. 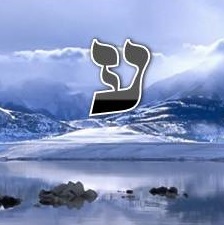 Finally, the third letter Tav [ת] symbolizes a covenant, a seal. 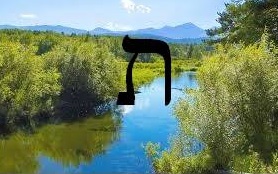 It is the twenty-second letter, the final letter of the Hebrew alphabet. In the early Semitic/Hebrew language, the crossed sticks represented this letter. The meaning of this letter is; the mark, the sign, the/to signal/ the monument. So, it is the seal or completion of the twenty-two letters. The twenty-two letters contain all the knowledge in symbolic form; subsequently the Tav is the synthesis of them all. It is the completion, the end, the seal of the covenant. The letters of Daath say: Daleth is the doorway, Ayin is the way to see, and Tav is the end of the work. The word Daath contains a message. Through the knowledge you can arrive at the vision, the insight, the perception of the complete path of all the work and skill, to discern, and understand and have experiential wisdom of all creation. The twenty-two letters symbolize and encompass all the laws that manage everything that exists. Daath becomes a discipline of sorts, an art or a science to perceive knowledge or wisdom and to access it. And the eyes of them both were opened, and they knew that they were naked; and they sewed fig leaves together, and made themselves aprons (v.7). Subsequently, by eating the fruit of knowledge, man has chosen the law. The law which reveals the truth; albeit, because the cross is the covenant, within the fruit of experimental knowledge God already had the covenant prepared. This covenant was our Lord Jesus Christ, Yeshua, for the Lord saves. For the law of the Spirit of life in Christ Jesus hath made me free from the law of sin and death. For what the law could not do, in that it was weak through the flesh, God sending his own Son in the likeness of sinful flesh, and for sin, condemned sin in the flesh: That the righteousness of the law might be fulfilled in us, who walk not after the flesh, but after the Spirit. For they that are after the flesh do mind the things of the flesh; but they that are after the Spirit the things of the Spirit. For to be carnally minded is death; but to be spiritually minded is life and peace. Because the carnal mind is enmity against God: for it is not subject to the law of God, neither indeed can be. So then they that are in the flesh cannot please God. But ye are not in the flesh, but in the Spirit, if so be that the Spirit of God dwell in you. Now if any man have not the Spirit of Christ, he is none of his. And if Christ be in you, the body is dead because of sin; but the Spirit is life because of righteousness. But if the Spirit of him that raised up Jesus from the dead dwell in you, he that raised up Christ from the dead shall also quicken your mortal bodies by his Spirit that dwelleth in you. Therefore, brethren, we are debtors, not to the flesh, to live after the flesh. For if ye live after the flesh, ye shall die: but if ye through the Spirit do mortify the deeds of the body, ye shall live. This entry was posted in Historical and tagged adam, ayin, bible, Christian, Christianity, creation, daath, daleth, discernment, enlightenment, Eve, Faith in God, Kingdom, knowledge, tav. Bookmark the permalink. Very good! Thank you for the link.